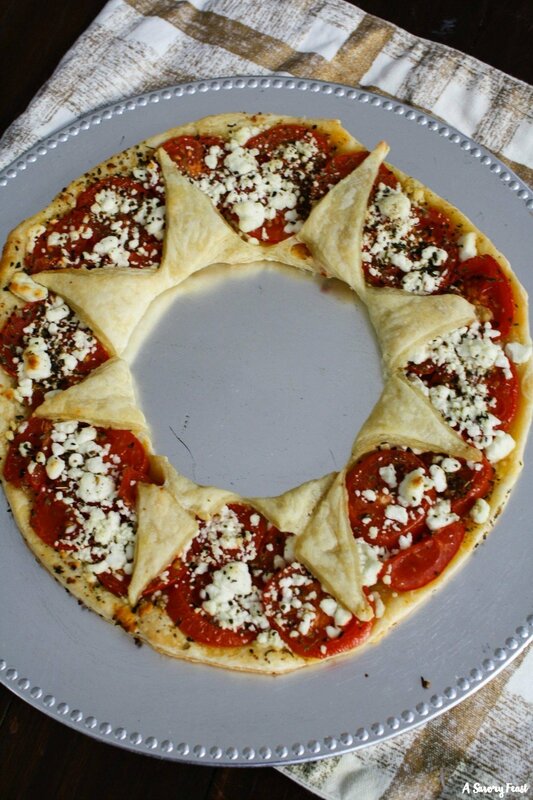 Complete your holiday appetizer spread with this easy Tomato and Goat Cheese Puff Pastry Wreath! Use a sheet of store-bought puff pastry to create this beautiful dish stuffed with fresh tomatoes, crumbled goat cheese and Italian spices. Need a simple, semi-homemade appetizer idea for Easter? 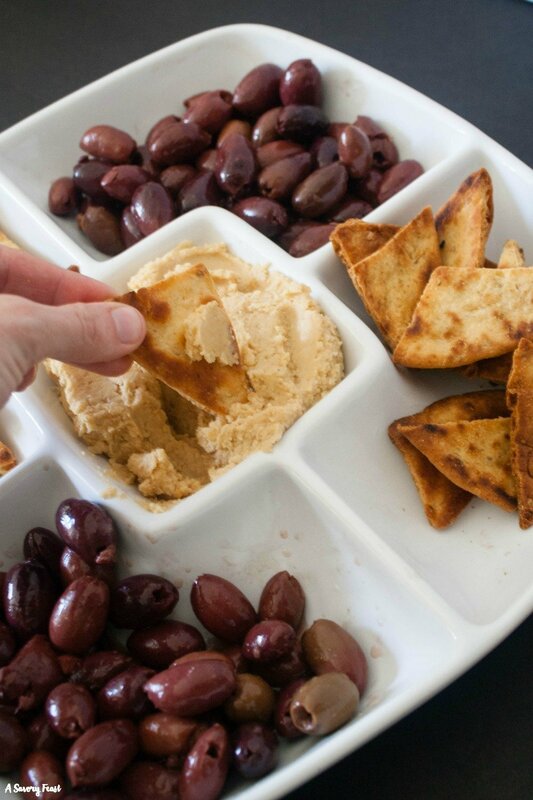 Your guests will love this Hummus and Olives Appetizer Tray! Learn how to make homemade pita chips and hummus to serve along with Pearls® Specialties olives on this tasty, flavor-packed tray. Invite your friends over for a wine and tapas night! 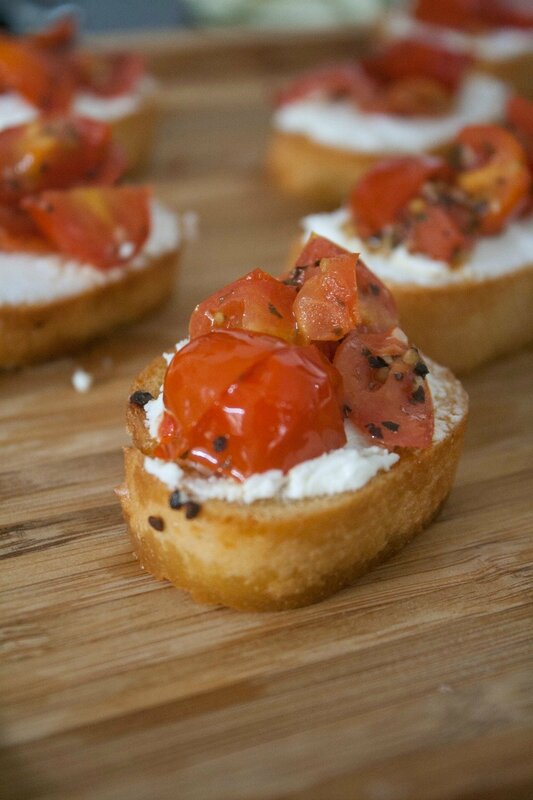 Serve Tomato and Goat Cheese Crostini for an easy yet fancy finger food. It pairs perfectly with a glass of your favorite wine. 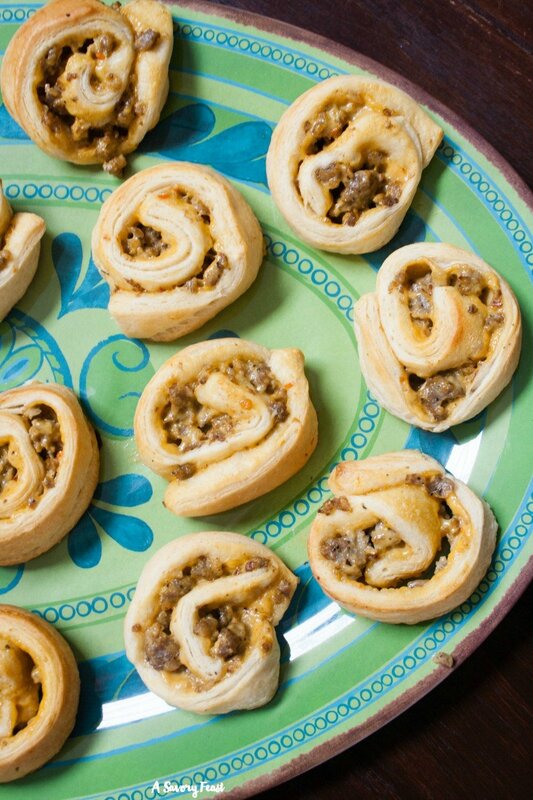 Football fans won’t be able to get enough of these Crack Dip Pinwheels on game day! A simplified version of crack dip rolled up inside croissant dough for a savory appetizer your guests will go crazy for. My favorite type of food to serve at parties is easy to throw together, but looks and tastes amazing. 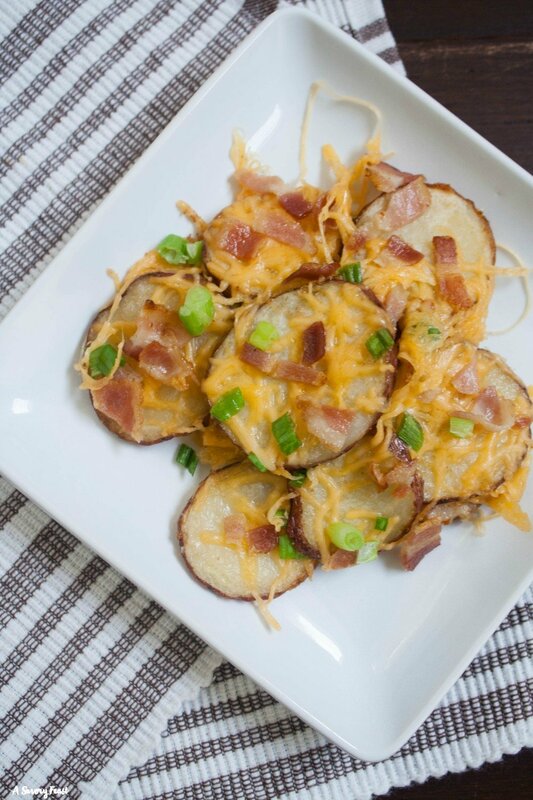 These Baked Potato Nachos are just that! Football season is just around the corner, and this recipe is the perfect appetizer for game day!